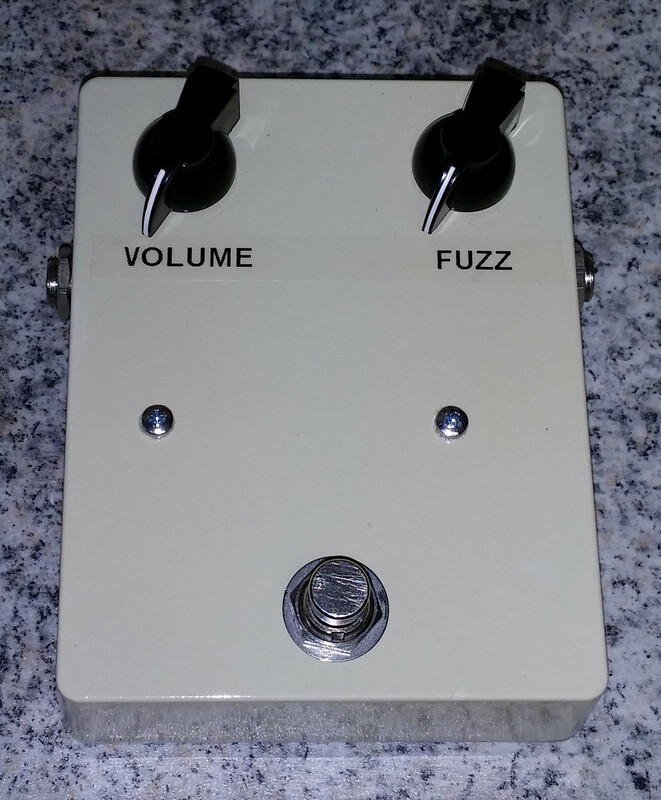 The Rikstone Fuzz Face is based on the traditional Arbiter Electronic's distortion pedal from 60's to which I have done some modifications on its wiring and structure. A significant factor of this pedal are the AC128 Germanium transistors that are still available and which have a very large tolerance. Moreover these transistors are very sensitive to soldering. That's why I have installed the transistors with screws in order to help tuning and protect them. A good way to tune the box is to try it with several transistors and select the transistor combination that best corresponds the sound you are looking for. By using the trimmer inside the box you can set the default for the distortion. The box requires -9V DC and it works well both with battery and external power adapter which is included. 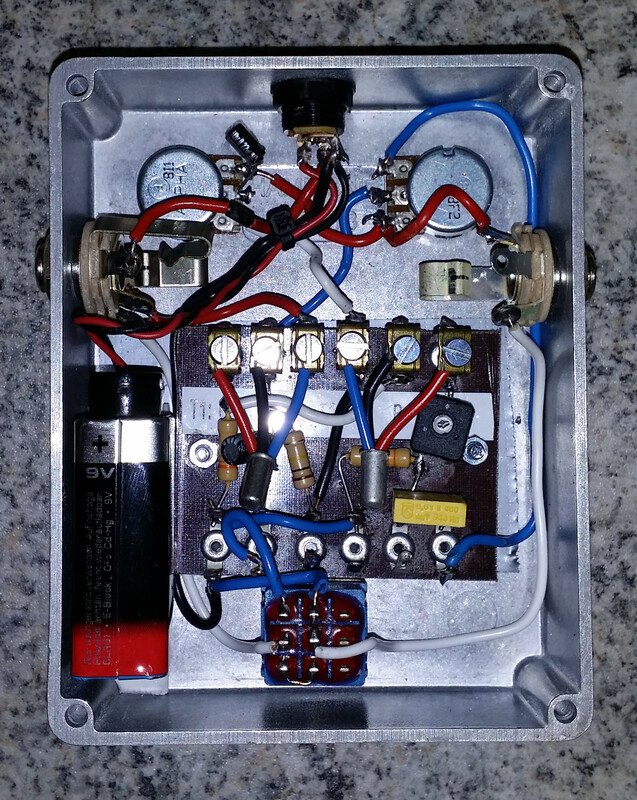 The pedal has been implemented without circuit board. Price: 250€ without LED, 280€ with LED.